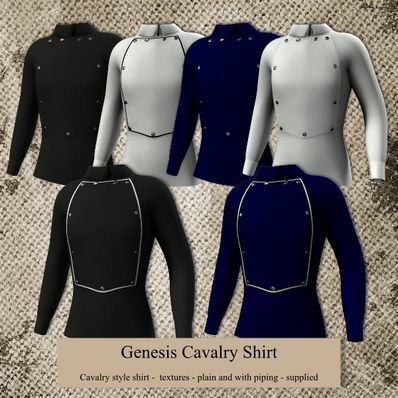 A Cavalry Style Shirt for Genesis for use in Daz Studio 4. Simply marvelous, most all the clothing is easily repurposed,or mixed and matched (like underwear as swimwear). Great work!! Quite a few of your great items can be used as a base for sci-fi/fantasy/superhero clothes. Useful stuff, thanks! Thank you so much for this Cavalry Shirt.